Christmas is an annual festival commemorating the birth of Jesus Christ, observed most commonly on December 25 every year, as a religious celebration among billions of people all over the earth. People in the United States celebrate Christmas on December 25 every year. And people decorate Christmas trees, and much more In the days or even weeks before Christmas Day, many people visit friends or family, s with exchange gifts, etc. many families spending a large part of their income on gifts and food. How To Make Money Online ...:::: Earn Methods ::::... Christmas Day is a holiday in many, but not all, countries. Christmas parties prior to December 25 every year. Festive activities include exchanging gifts, singing Christmas songs, going to parties. And children get presents from family, friends and Santa Claus too, or Father Christmas. Also sharing Christmas cards each-others. The real meaning of Christmas is, celebrate the birth of "Christ". Events surrounding the birth of Jesus. In Roman times, the festival was held or relaxing time with a lot of parties. The bible does not give a correct date for the birth of Jesus. It is also unclear when December 25 became associated with the birth of Jesus, although it may have been around two hundred years after his birth. 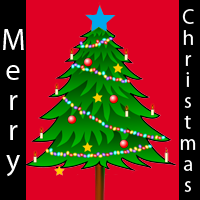 In year 1840, celebrating Christmas became more widespread. December 25 was declared a federal holiday in the United States of America in 1870. Since then, Christmas Day has become a steadily more important holiday. Thanks for sharing, the post helps me understand more about Christmas of the country in the world.